There are many reasons to continue private music lessons even if a student is in the school band. While a band can provide great opportunities for learning to play with other musicians and providing more practice time, it really can’t compare with what a young music student gains from individual lessons with a music teacher. There are many benefits of taking private lessons, even for the student who plays in the school band. One of the most valuable aspects of private music lessons is that each session is based on that individual student’s learning style and learning pace. 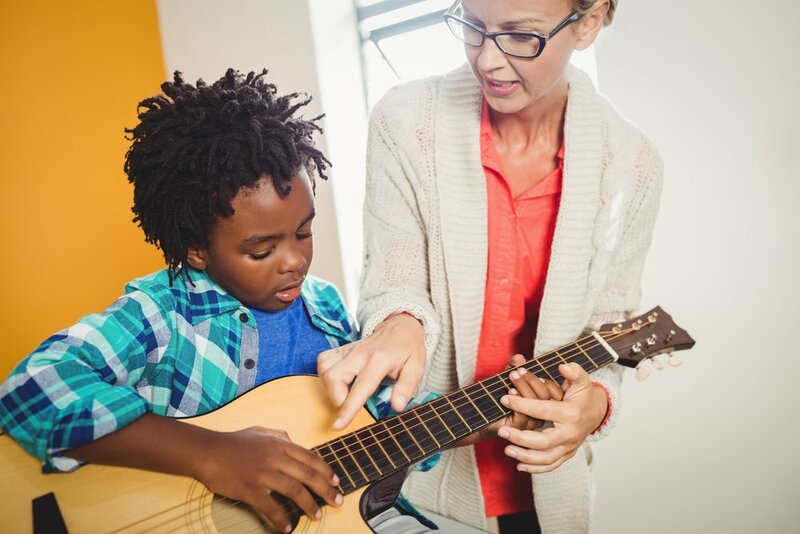 If a student is struggling to learn a new piece or technique, the teacher can focus more time and energy on helping her master it. This undivided attention during lessons with a private teacher is one of the best reasons to continue these lessons even if a child is already in band. Conversely, if a student is naturally gifted, they won’t be confined to a slower pace while waiting for other students to “catch up.” Additionally, every teacher knows that all students learn differently - some prefer to watch and learn before diving in while others need to jump into the exercise immediately to start to grasp it. Working with a private music lesson teacher will help a student progress more quickly than playing in band and he is more likely to stick with her lessons. 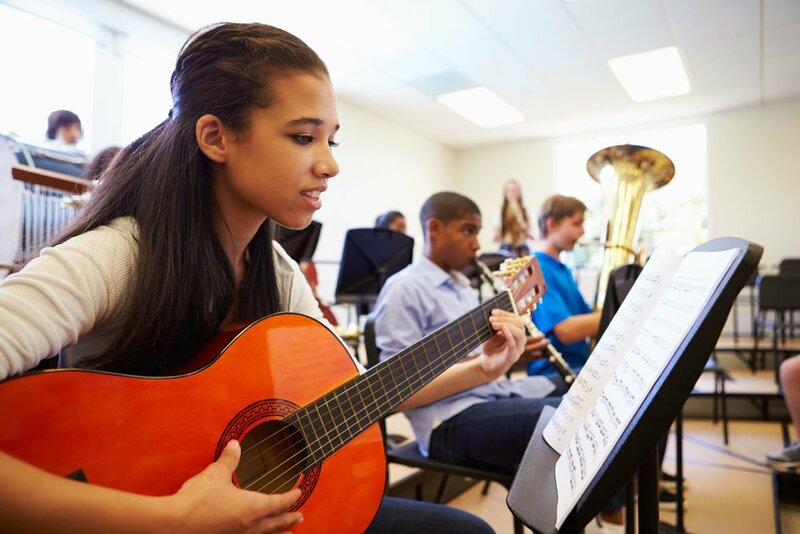 For students playing with their school band, working with a teacher in private music lessons helps a student progress more quickly because he is getting feedback at every lesson. While in band practice, the teacher may only have time to work with a certain section each time they meet. In fact, your private music teacher can choose the appropriate music for a student musician to play because she or he has worked so closely with your student. Having the full attention of his instructor, your child can immediately make corrections or tweaks which will help him progress that much more quickly. Whether your student is a violinist, vocalist or plays the clarinet, their private music lesson instructor will usually also have more expertise with his or her specific instrument than the band director might have. When students are in band practice, they are typically listening to one another whereas private lessons give students an opportunity to listen to - and learn from - a professional who understands his or her specific instrument. Often in schools, teachers move on to different jobs or music programs are cut back (or eliminated). With private music lessons, students have the chance to continue learning in a music school year after year which is unlikely to happen in school. Among the many benefits of these ongoing lessons with a consistent music instructors is the likelihood that the student will continue playing. For students who want to pursue music long-term, having the motivation of the same musical setting each year is important. However, even if your student takes private music lessons more for the mental stimulation and development, being part of a music school will encourage her to stick with it, which will increase the likelihood that she will flourish academically, as well as musically. In a study published in the May 2006 issue of the Journal of Educational Psychology showed that the longer a student took music lessons, the greater the boost to their IQ. In fact, for the younger students in the study (aged 6-11), six years of lessons was associated with an increase in IQ of 7.5 points. These private lesson teachers understand a music student’s strengths and challenges, and help them continue to play and progress, which is a very valuable reason to continue private lessons even if a student is in the school band. Encourage your student to join band but also share the importance of continuing with private lessons where she can get personal attention. Eventually, every budding musician develops her own musical tastes and wants to play more of what she loves. 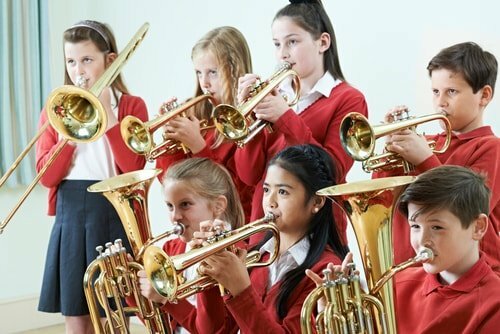 School bands are expected to learn and play the standards but students who stick with private music lessons will be able to expand their repertoire more quickly and dive more deeply into the music they are passionate about. While we would never discourage a musician from playing from his school band, we know from our own experience, working with young musicians in the Winchester, Massachusetts area over the years, that there are many benefits to continuing private music lessons even if a student is in the school band. Come in and talk with us at Stage Music Center about the many benefits of private music lessons!